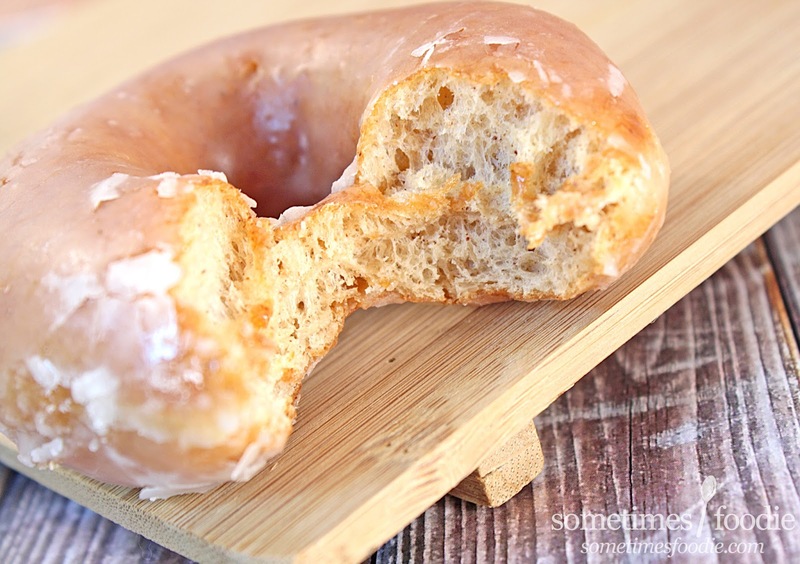 Sometimes Foodie: Krispy Kreme Pumpkin Spiced Glazed - One Day Only!! Krispy Kreme Pumpkin Spiced Glazed - One Day Only!! Krispy Kreme offered a classic glazed version of their pumpkin spiced doughnuts, but they were only available for ONE DAY in October. I was hype. I posted about it on the Sometimes Foodie Facebook page, and pretty much count down the days until to was offered, reminded everyone that day that it was out..and I totally forgot to pick some up for myself. I finally remembered after midnight and I was kicking myself. Weeks later, a shining ray of hope appeared. Krispy Kreme was bringing this special doughnut back for another one day event in November, so I seized this opportunity and went to straight to Krispy Kreme after work to secure some of these (and a few other) doughnuts. When I saw the promo images for these specialty doughnuts I thought they were just normal Krispy Kreme doughnuts with a pumpkin spiced glaze. Switching out glaze in the enrober machinery is tricky and messy to clean up, so something like that makes the one-day availability make sense. But these are not normal doughnuts with a pumpkin spiced glaze, these are pumpkin spice doughnuts with normal glaze. Admittedly I should have read the fine print in the ads, but I'd be lying if I said I wasn't disappointed. Still, these are Krispy Kreme doughnuts, so even if they aren't what I thought they'd be, I know I'm in for a good time. Sadly, this doughnut was not worthy of it's "One Day Only" hype, and since it's just a flavored yeast doughnut with normal glaze, I don't see why they only offered it for such a limited time. 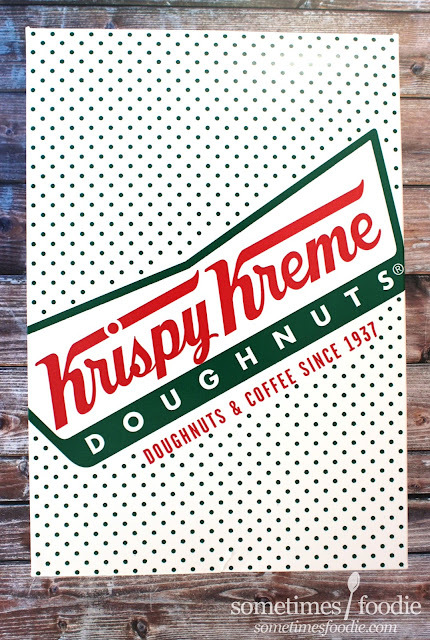 It's not mucking up the machinery, or really changing things up as far as production is concerned, so other than it being lack-luster when compared to the original glaze, what is preventing Krispy Kreme from offering this all pumpkin-season long? If you missed out on either of the days where this doughnut was available, don't worry, you honestly aren't missing out on much. 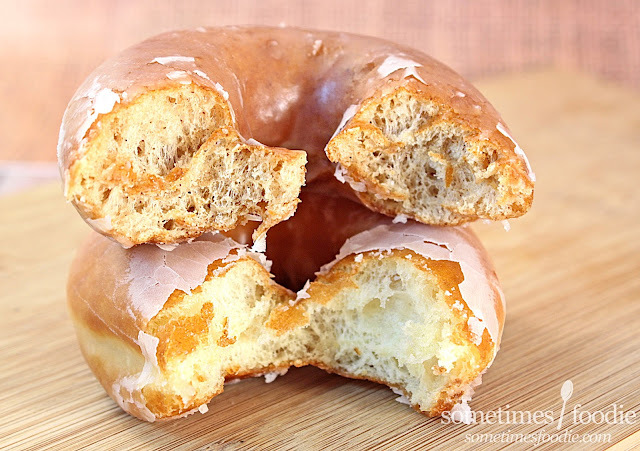 Their normal glaze and seasonal pumpkin spiced cake doughnut are far superior, and you don't need to rush around to ensure you get either of those. 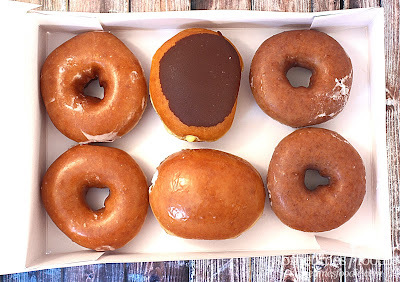 The regular cake doughnuts are glazed actually, the biggest difference here is texture. This is a yeast-based fluffy doughnut and the normal pumpkin spice doughnut (which is also glazed) is dense and cake-like. 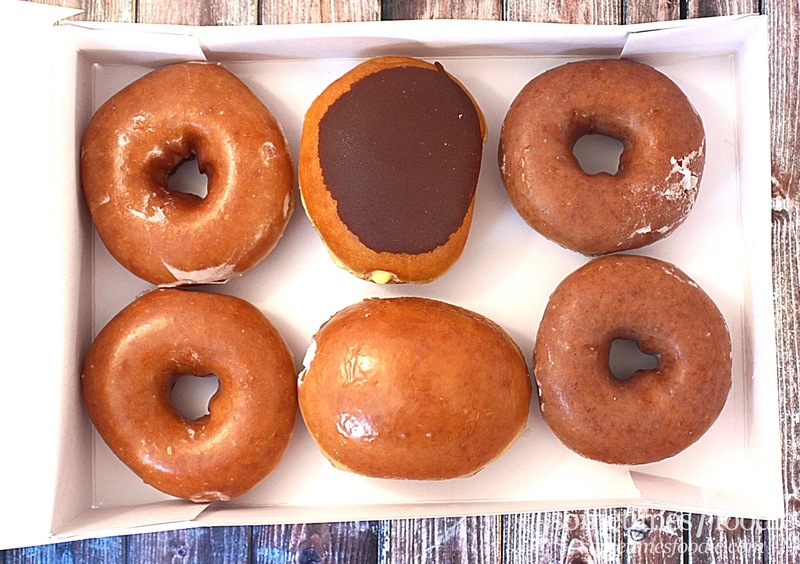 You could always ask for double glaze though.